Start in Isfahan and end in Tehran! 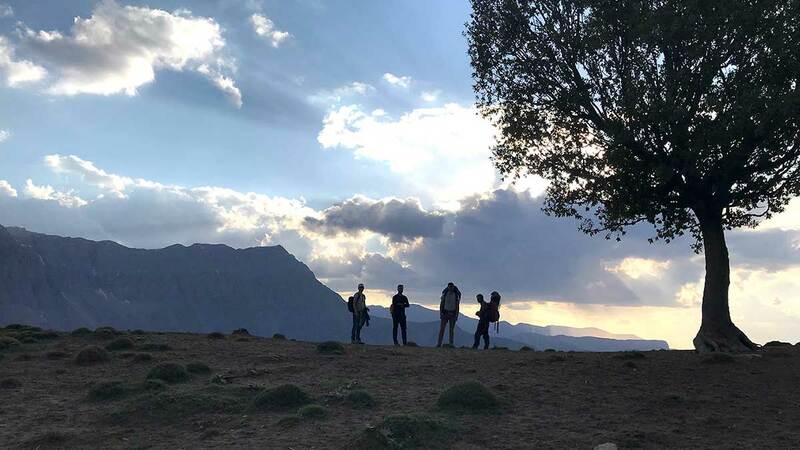 With the camping tour Hiking Keyno Peak, go to Tembi Lake and stay overnight with Nomadic Family, you have a 5 day tour package taking you through Isfahan, Iran and 5 other destinations in Iran. Hiking Keyno Peak, go to Tembi Lake and stay overnight with Nomadic Family is a small group tour that includes accommodation in a hotel as well as an expert guide, meals. Accommodation All accommodations are covered. During city stays it would be either hotels or Guest Houses (old houses which has been transferred to a hotel). 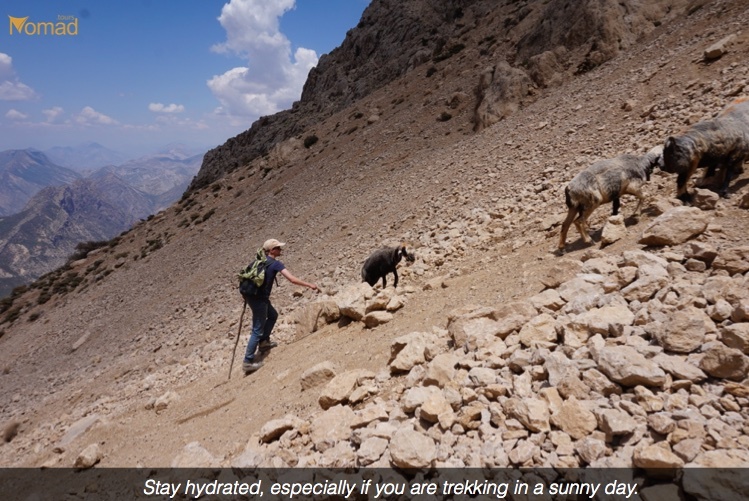 During hiking we will stay with nomads and in tents. MealsAll the meals are included. 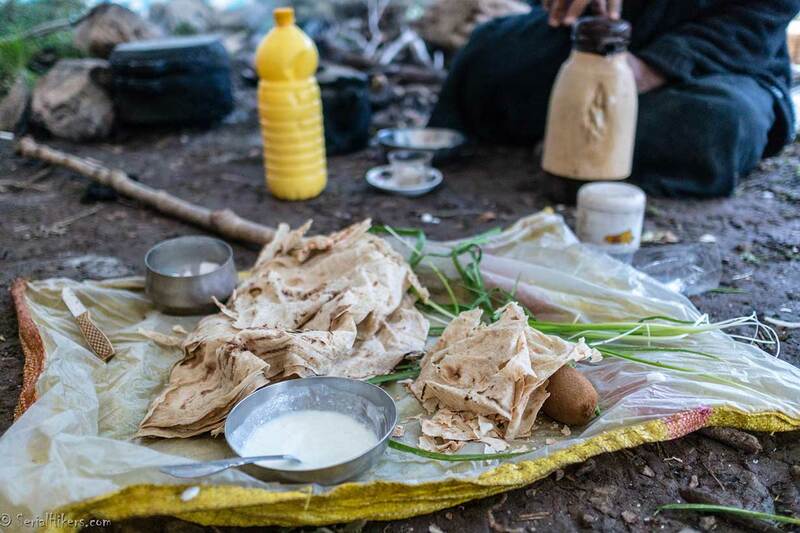 During migration days we will eat with nomads regarding their food plans. If you are a vegetarian please let us know so we can provide you vegi foods for meals. FlightsWe can manage buying Domestic flight or bus ticket from Ahvaz to Tehran or other cities . This tour is for Nature lovers who want a different experince deep in Iran’s pristine Nature of Zagros mountains. the Rullers of this area are the Namads , modernity did not arrived here yet and we will stay some nights with Bakhtiari Nomad families. Early in the morning we start driving from Isfahan to Shahr-e-kord and villages in the mountains. We pass some mountains in Zagros ranges and seeing the beauty of the nature that nomadic families are living in. We have about 5 hours driving from Isfahan to the point we start trekking. we will stay in a village near the mountains foothills. in the afternoon we will enjoy the breathtaking beauty of the nature and the remarkable monument: Dezhpart Steps and khoda-afarin (craft of God) bridge, which is over Karoon river. The only natural bridge from which Nomads could pass the Karoon River since (at least) 2000 years ago. It takes about an hour trekking from Gazestan village to the Dezhpart historical steps. Then we will get back to Maverz village for dinner and sleeping. After break fast and a short drive we will start the hiking part. 10 kilometers trekking with almost 1300 meters height. It will take us 6 hours to stand for the night in a camping tent. We get up early in the morning and after eating breakfast, we start trekking on top of the Keyno range, which is one of thee Zardkuh ranges. During trekking we have a wonderful view to the places that Bakhtiari nomads are living and migrating. In this day we will have a totall 20 km trekking with losing 1300 meters height. It will take us around 10 hours to reach the Tembi lake (called Shatte Tembi) which we stand for the night. There we meet some nomadic family and we spend the night talking and eating with them. We start the day just like a nomadic family by morning shepherding and milking goats and sheeps. After eating breakfast with the family, we say good-bye and continue our trekking part of the tour. We have about 12 km to trek while going down for 1100 meters. After 4 hours trekking we get the Dez river where the car is waiting for us to continue the tour by our 4wd car. We pass some nomadic villages and observe natural beauty. For the night we stay in Mavarz city in a rural house and have some home-cooked food. Just recovering for the past three days activity. for night we will stay in a village near masjed soleyman. we will visit A meusem in masjed Soleyman, then we will be visiting world heritage sites Tchogha Zanbil and Shushtar Historic Hydraulic System. and finally go to ahvaz, centre of Khuzistan province. Ahvaz is a city in the southwest of Iran and the capital of Khuzestan province. Ahwaz’s population is about 1,300,000 and its built-up area with the nearby town of Sheybani is home to 1,136,989 inhabitants. It is home to Persians, Arabs, Lurs (Bakhtiaris), Dezfulis, Shushtaris, etc. and different languages are spoken in it, such as Persian, Arabic, the Persian dialects of Luri (Bakhtiari), Dezfuli, Shushtari, etc. Iran’s only navigable river, the Karun, passes by the middle of the city. It has a long history dating back to the Achaemenid period. In the ancient times, it had been one of the main centers of the Academy of Gondishapur. Ahvaz has an international airport so you would find flights to Ahvaz. you couls stay some days in this lovely city or you can take a flight to tehran.